Looking for a unique piece of hand painted furniture? 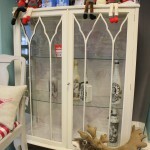 Or maybe wanting to rejuvenate a piece of furniture you already own which looks a bit jaded? 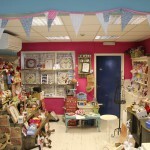 Tilly – Anna’s Hand Painted Furniture on Springwell Street, Ballymena should be able to help. 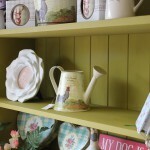 In the showroom is a selection of lovely individual items of hand painted furniture – occasional pieces, storage pieces, chairs & accessories all lovingly restored by the owner, Josie. They are also able to restore any item of furniture you own by using their fantastic range of Frenchic furniture paint to give it a new lease of life. 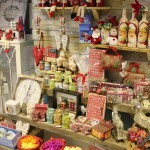 Also in stock is a fantastic range of gifts, ornaments and accessories to help dress out the furniture, and that includes lots of Christmas gift ideas which have just arrived. Maybe you want to try your hand at painting an item yourself? That’s no problem, at Tilly – Anna’s they run workshops regularly where you’ll get lots of advice and practical experience and by the end of the workshop you should be able to successfully complete a project yourself. 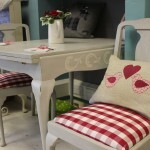 Tilly – Anna’s are pleased to be Northern Ireland’s first stockist of Frenchic furniture paint. With around 30 colours to choose from, in both pastel and stronger colours, as well as all the waxes, finishing products and brushes you need to do a project, Tilly – Anna’s have everything you’ll need to paint and put a protective finish on your old furniture items. 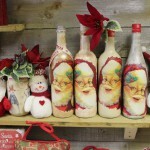 It’s an all natural, chalk and mineral paint. Zero VOC & solvent free – means you can breathe easy and not worry about inhaling dangerous chemicals! Commission Work. Tilly -Anna’s are regularly asked to do special commission work for customers. So before you throw out that old coffee table or hall table it would be worth getting a quote from Tilly – Anna’s to have it painted and transformed into a beautiful hand painted item, ready to use in your home again. 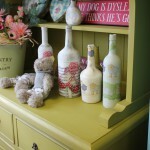 You can check out Tilly – Anna’s Hand Painted Furniture website here and they’re on Facebook here. All their contact details and opening times are here. Dunclug College in Ballymena present Oklahoma!